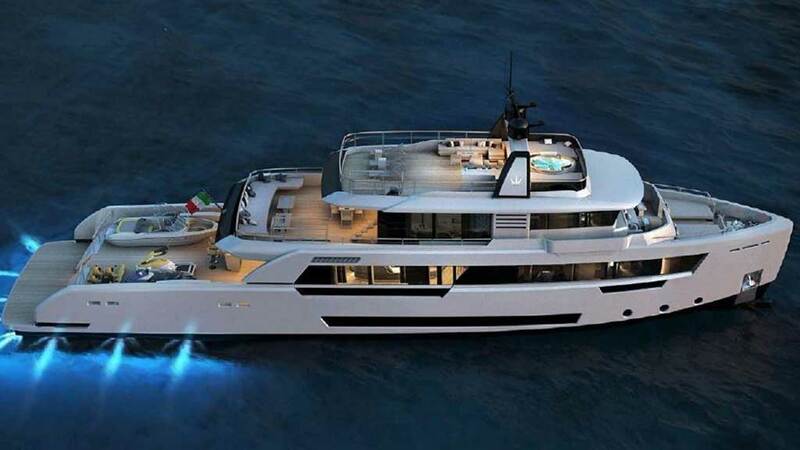 The Italian ship yard, Cantieri Navali Chioggia, unveiled the newest Ocean King model in its Classic series during 2018. The ship was developed in conjunction with VYD Studio, and though the yacht has a small footprint, it still gives the feel of a luxury superyacht. The ship’s exterior design is from the mind of Arch Paolo Dose, architecture design by Studio Innave, and the interior construction was designed by Garlant Marco—a true testament to the eminent luxury of the Ocean King. The new Ocean King was mainly designed to provide ample space in its interior, but that does not mean they held back on the exterior square footage. This ship features four exterior decks. Additionally the Ocean King features a large stern garage which also has access to the engine room. The garage can be used for multiple purposes including a diving center, water toy room, fishing storage room, or a small beach club. Guest accommodations span over five staterooms including a master stateroom situated on the main deck. Additional crew accommodations can fit a crew of four on the lower deck as well as the captain’s cabin behind the wheelhouse. The entire design of the ship has included exactly what customers have asked for and delivered on all promises.